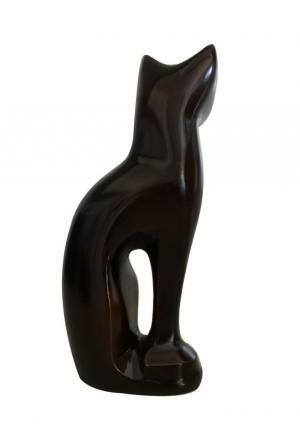 This graceful figurine cat Brown brass urn is a hand crafted & designed with high quality solid brass material. In this pet brass memorial urn, fill your loved cat funeral ashes and place in your home at any corner. Keep your pet memories alive with you. 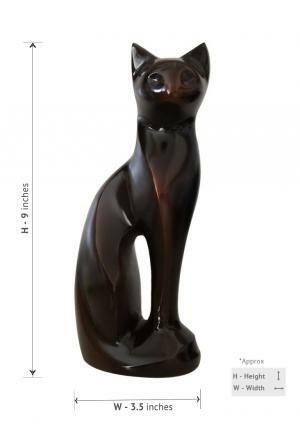 This legend cat urn is made by skilled artisan of metal workers. 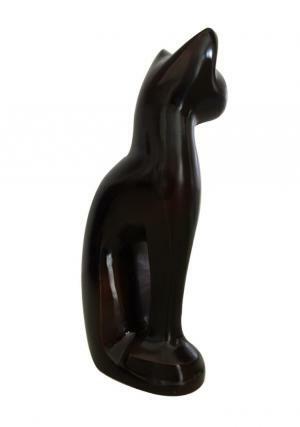 This graceful and refined cat urn product is looking like a cat shaped sculpture in black color. 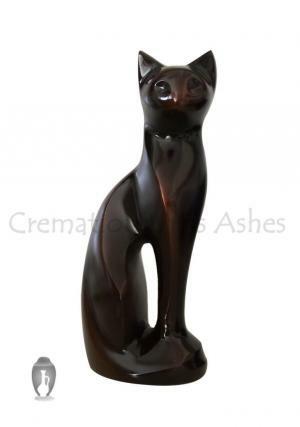 Figurine cat Brown cremation urn ashes are simply finishing with glossy black with good shine and look beautiful. This daisy animal brass urn is made with 9 inches hight and 1.4Kg weight. Buy online for your pet and get free delivery within UK.